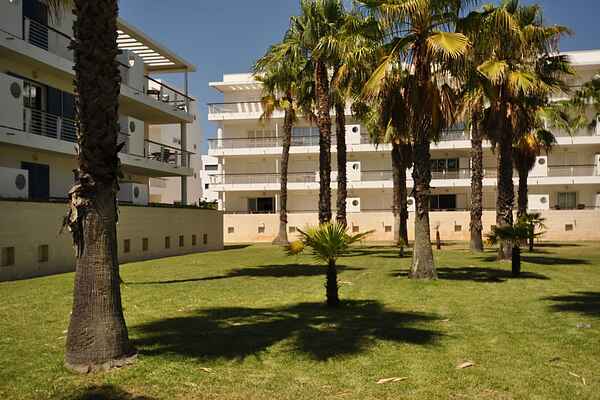 EXCELLENT ground floor apartment situated at the Marina de Lagos with view to the beautiful interior garden. It has one double bedroom, bathroom, fully equipped kitchen and large living / dining room with access to the sunny BALCONY/TERRACE. The apartment has AIR CONDITIONING. The building has an elevator. There is no private parking place available, but ample other parking spots. Ideally located within walking distance to the beach, shops, railway station and town centre. The Marina complex has a 24 hours security surveillance, swimming pool and health club.